How to find & recognize strong breakout chart patterns. Who Else Wants To See Exactly How To SCAN for the Best Potential Breakouts Every Time You Trade? HOW WELL CAN YOU SCAN FOR TOP BREAKOUTS? When it comes to trading successfully, you know how important it is to find the best charts to trade, right? Scanning for great breakouts is a skill that you can develop, once you know what to look for. If you are like a lot of my traders, you do not have time to spend endless hours scanning through charts. A much easier way to trade is to find a handful of consistent patterns, once you know how to scan for potential winning trade setups. As one of the industry’s foremost authorities in breakout trading, I’m pleased to be able to teach you what I’ve learned in my new ‘Breakout Scans’ training program for active traders. You will learn exactly how to scan for the strongest entries, with the strongest price action breakout charts – so that you will be able to find my favorite types of charts for stock day and swing trading, at your fingertips. You will get easy-to-follow directions that you can use to learn how to trade. This training can be used with your favorite charting software or free charts website and does not use any proprietary indicators or other nonsense. Instead, you will see which visual patterns and simple trading setups make the most sense to trade. “the highly professional Ken Calhoun approach is greatly appreciated” – Mark F.
“The right entry and exit are critical to trading we can all agree. How does your scan find the precise timing for these trades?” – Dan D.
“Will be able to find trades quicker” – Ramona H.
“Do you use a pre-determined percentage in the strategy ?” – John M.
“Learning to increase reward to risk ratio and trade success rate.” – Harry S.
“I look forward to hearing from Ken about his homework: exactly how he approaches identifying breakout candidates, then how he uses his chart skills to patiently avoid fakeouts/false breakouts while capturing a key part of the real breakout. Equally important are insights into how he manages the trade, with specific reference to where/when/how to take profits. I can trust Ken to provide some real life recent examples to demonstrate what a professional trader does to identify and capitalise on the very best breakouts.” – Don M.
“I would like to see the professional methods that Ken has been using in choosing the best breakout trades.” – Stan G.
“Would rather trade a high probability winning stock than a loser” – Bob M.
“good strategies for trading are not everything, because in the end it takes discipline to follow. 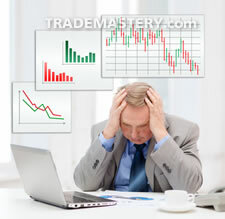 But without good strategies you are wasting time and money.” – Ralph M.
“I like the idea of hit and run trading. That`s just me…and if I really am honest…when I stay in a trade too long…it turns into hold and hope. No more!” – Vilis S.
“As I prefer to trade momentum setups, breakout type trades are appropriate for this purpose.” – Selami S.
“It is a strategy that I must put into use based on my decisions not someone else’s. In other words I must do the thinking and recognize the breakouts that will bring me profit. No one will be doing it for me.” – Carol J. “I am a newbie and am interested in learning as much as I can…” – Robert M.
“how to avoid or see a false break out” – T.
“Picking what to trade is as important as knowing how to trade.” – Russell L.
“Looking Forward to learn tips and techniques from Ken. His information is priceless!” Norman C.
“It will help pinpoint good choices in my option trading” – Pat J. “Learning from someone who can share his expérience and knowledge. ” – Helene C.
“The opportunity to look over the shoulder of someone with as much experience as Mr. Calhoun. To learn lessons and make improvements, add to what I’m doing currently (that’s right) and change what may need changing. All while having some fun to go with all the good info.” – Tre G.
“A proven strategy to find best candidates.” – Morris H.
“If it is going to save me time, its worth it !” – Josh S.
“Love Ken’s fast pace without lots of useless info.” – D.T. “Getting in on those stocks that are about to move is important to your bottom line. It is a skill ever good trade should know how to do.” Perry S.
“Looking to increase profits while in the market the shortest possible time.” – Joan D.
“Having a plan and being prepared so when the break out comes you can act quickly and not miss any opportunities.” – Steve B. “As a retail trader I think one of the many challenges we face is accountability. As a solo trader it’s so easy to slip into overtrade by taking less than optimal trades. I posting trade ideas / trades in a trading room (or just to a friend) can you help maintain discipline and accountable for your trading decisions. Good trading to all.” – Simon R.
“Getting a systematic method to trade will be useful and profitable” – John F.
“I would like to learn a good scanning method to be able to start earning.” – Luis F.
“breakouts just keep going, and going, and going…” – Robert P.
“original, always innovative and informative crammed with up to date commentary.” – Vic S.
“The breakout scan have a high probability of success trader and is the professional trader’s game.” – Asia K.
“Identifying the patterns with the most potential to focus on. That makes sense.” Linda O. “I like the idea of doing my homework to finding strong actionable trade ideas before wading into the daily markets.” – David C.
“To be able to find my own trades each day.” – Andrea R.
“I would like to learn how can I trade successfully” – Carlos R.
“Looking forward to more great tips and training from Ken Calhoun.” – Bill S.
“Learning from a pro like you, I know it will be valuable!” – Donna B. “I would very much like to spend less time looking for trade set-ups” – John V.
“I am trying to get some new ideas on finding stocks that are moving significantly in the future” – James O. “A good scanning method will identify stocks with good upside potential. I find trades late. I like the idea of breakout scans. It will provide opportunity to identify good entry points.” – Leroy W.
“No one can interpret the technical nuances in charts like Ken. This should be a great learning experience.” – Barry S.
“Good to know how other traders are thinking.” – Stephen C.
“I am already a member of SwingScans and want to grow my abilities for swing trading.” – David C.
“It looks so easy when Ken is doing his magic…Cup and Handle – is so cool – I see it, when Ken is showing it. I need to watch more videos with ken! Ken, You are the Best!” – Hilde T.
“Learning the triggers in breakout scans will put money in my jeans.” – Alec N.
“In a single word, simplicity. In other words, efficiency of time and energy when scanning for breakouts via intelligent professional training. A simple yet effective approach to identifying the best charts for myself is what I seek.” – Rick M.
“It is very frustrating to see stocks that have broken out only after they have made the move. I’ve always wondered how to find these things when they are happening.” – Lee T.
“to be able to really trade with the market and not against the market.” – Phil F.
“It’s one more indicator for buying a stock!” -Marguerite P.
“How to Identify Breakouts in Trading Charts in uptrend & downtrend? Does volume verify?” – Magdi S.
“I want to learn as much as possible about the markets and how to trade them. Scanning for breakouts is another way that will lead to better understanding of charts and how to trade them.” – Carol B. “This is going to help me a great deal. I am definitely interested.” – Tusani L.
“scanning for stocks to day trade without using any software or indicator is more useful for any day trader.A good trading plan starts with a good,easy scanning strategy.” – Hamid M.
“The uncanny accuracy of selecting the right stocks is what I enjoy.” – James W.
“Looking forward to Breakout Scans for a trading directional indicator to assist me in getting into stock/ETF trades.” – Larry D.
“It’s the “foundation” of continued successful trading.” – Craig G.
“An opportunity to improve by Knowledge” – Ron C.
“I like the potential to get in on a strong momentum move” – Charles S.
“to find out pivot points , avoided or broken, so as to enter the market quickly” – Lola K.
“To increase the odds of trading high probability winning stocks and avoid false breakouts that lead to losing trades” – Mura M.
may give me the confidence to trade more and hopefully win more.” – John S.
“Learning which breakouts to avoid is as important as which ones are worth trading so the training would be valuable for that.” – Andrew S.
“Discovery of market breakouts.” – David T.
“what is the wrong chart and what is the right chart ?” – Seer C.
“I would like to learn the breakout system that you are a expert on” – Sachin S.
“Love to learn from Ken he’s the man when it comes to breakout trading” – David F.
“Preparing properly for winning trades is extremely important. I look forward to using the training I receive with your “Breakout Scans” to ensure I am preparing correctly and efficiently. Thank you” – Bill S.
“Would love to find a way objectly identify high probably breakouts without the normal subjectivity.” – Gerald D.
“Trading with the crowd is much easier than picking tops and bottoms so I am excited to learn this” – Dave D.
“No need for proprietary indicators and can use any platform with freely available indicators and simple criteria for trade entries/exits, make this info on breakouts worthwhile.” – Joe S.
“How can you tell if a break out is valid. I’ve noticed that some candles are red and some are green on a break out. Is this an indication of how valid the break out is. Does the red indicate weakness and the green strength?” – Lionel T.
“It is a continuation trade, so there should be more of a chance of it moving in the same direction.” – Chuck P.
“Scanning for finding stocks and ETF before breakout happened and then wait for Breakout to Buy. How to avoid false signals.” – Mukesh C.
“Finding strongest entries and strongest price action breakout charts without relying on anyone else to do it for me and as quickly and easily as possible. ” – Rick M.
“To find the best possible charts to work with” – Mariusz K.
“to up the odds of making money with the better stocks” – Jimmy R.
“It will be a excellent oportunity to learn from you, how scans Breakout…Im very interested in it.” – Christian Z. “With good breakout charts and the right entries you are on your way to profits.” – Phillip B. “To find stocks that are about to make a major move” – Frenchie B. “Looking (to) improve win rate” – Frank P.
“learning how to catch a trend early and not miss the first big move after a reversal forms” – Ken N.
“Finding the potential breakouts is easy. But I would like to know which will actually breakout and keep going and how to avoid the false breakouts that turn back around.” – Jonathan N.
“Always room for improvement.” – Leslie K.
“Break out trades often lead to larger profits.” -Roger E.
“Hi Ken…..Can you scan for rounded bottom patterns? Something I would be interested in. Thx…” – Jim S.
“Narrowing the field is a big challenge–I look forward to seeing how you are doing it!” – Jerry G.
“I wish to get more tools for scanning. Thanks Ken, like the idea.” – Rita R.
“I can now learn to fish for myself and avoid… trading with bad setups.” -John N.
“Looking forward to learn new trading tips” – Lan B. “That way I can find the potential stocks that would make me money.” – Kris T.
“I want to learn how to scan for breakouts thank you” – Petr A. “It helps to find stocks to trade” – Eston C.
“I appreciate that a professional trader reveals the most important secret of the successful trading. I’ve been waiting for such a lecture. Thanks. ” Srecko D.
“Looking for and finding the highest probability trades makes for the highest probability of success. Sounds like a no-brainer to me!” – Dave P.
“I know that breakouts can be excellent trades if you know how to work them.” – Karen S.
“Breakout Scans will make trading easier than ever. Ken Calhoun has been trading and training for many years…Try it for yourself!”- Ken S.
“confidence in the trade” – Kwok H.
“I look forward to learning New trading tips, as I Always Do from Ken, to assist with my personal trading strategies.” – Damon K.
“shows stocks that are in motion” – Thomas F.
“I’m very interested in learning how to scan for the strongest entries.” – Lisa L.
“This is what I have been waiting for to help me get a grip on my potential trades” – Eric J. If you’ve ever missed out on big potential winners, that’s normal — because it can be hard to locate winning charts ahead of time. Making time to scan for strong charts can be a challenge. What breakout scans trading will do for you is help you see which charts are actually worth trading in the first place. So whether you are using an alerts service, your favorite technical indicators, free websites, or percent gain/loss lists — you will see how to qualify the charts to help you determine whether or not each one is worth trading. Plus how to scan for the very best charts easily, like a professional trader does. The two biggest mistakes I have found traders make consistently is that #1 they take stop losses that are too large, and #2, they trade charts that are too choppy that lead to stop losses. As an active trader, you need to have an “edge” when it comes to scanning – and that’s what Breakout Scans can do for you. You’ll be thrilled to learn how to visually scan for the strongest breakout charts, and just as importantly, know which charts to avoid, to help you stay away from, so you don’t get caught in a false breakout. Once you unlock the secrets to scanning for the strongest breakout charts, it can potentially help you improve your trading skills. Correct scanning is a critically important trading skill for you to develop – and I can help you with this. Tip: the next time you are scanning for a potential trade entry, look for stocks and ETFs in the current week’s strongest sector…you’ll learn how to do that, too. In Breakout Scans you’ll learn exactly how to find the strongest stocks & ETFs to trade…and develop a professional, disciplined approach to quick, easy visual scanning that can really help you take your trading to the next level. You can even copy this .wmv to your tablet or cell phone/mobile device/kindle or watch on your pc. You get a FULL 1 hour, 48 minutes (runtime = 108 minutes) of high resolution downloadable video you’ll learn from… a super value at $97! This is an exceptional value for active traders, featuring a top industry professional. Yes! — Order your video download training course right now. You’ll discover how to trade — fast! YES! Order Your 1 1/2 Hour Premium Downloadable Video Course Today!